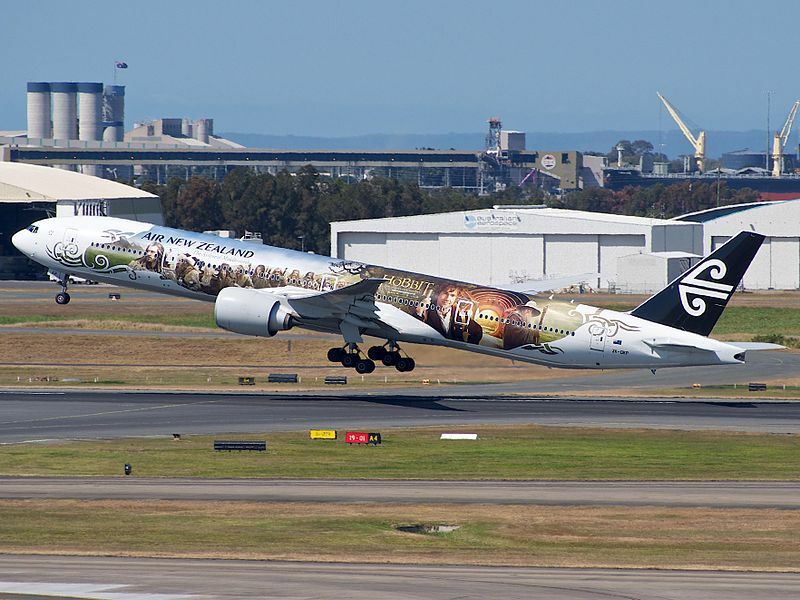 Boeing 777-300ER ZK-OKP with "The Airline of Middle-earth" livery at Brisbane Airport. Credit: Edwin Leong. The partners in the project include Moog, Microsoft and Singapore-based firm ST Engineering. The airline aims to leverage blockchain technology and 3D printing to transform aerospace supply chains. As part of the collaboration, Air New Zealand utilised 3D printing and Moog’s blockchain-enabled VeriPart process to create a point of use, time-of-need digital supply chain. The New Zealand flag carrier noted that the proof of concept has allowed it to install the 3D-printed part within hours on the Boeing aircraft ahead of its scheduled departure. Air New Zealand ordered a digital aircraft part file for a bumper part from ST Engineering. The digital file was then sent to Moog for 3D printing. The entire transaction was logged in Moog’s VeriPart digital supply chain system. The blockchain-enabled process is powered by Microsoft Azure Cloud technology. The bumper part is situated behind the screen on the airline’s Business Premier suite and prevents damage to the seat. Air New Zealand chief ground operations officer Carrie Hurihanganui noted that the implementation of this process will yield significant benefits to commercial airlines, including a reduction in lead times and downtime. Hurihanganui said: “Being able to 3D print certain components on the go would be transformative and drive significant efficiencies and sustainability benefits. The VeriPart blockchain platform enables a part manufacturer to release its intellectual property in a controlled way and enable the airline to 3D print the required number of parts on demand.